The 2017 Winner of the Cydney Weir Award for Youth Environmental Leadership is Mary Grace Hardy. Mary Grace has loved the outdoors since she was a small child. For the past 5 years, she has attended Saint John Bosco Wilderness Camp in northern Saskatchewan. At Bosco, she learned wilderness skills such as uses for native plants, orienteering, canoeing, fire building, camp building and no trace camping practices. 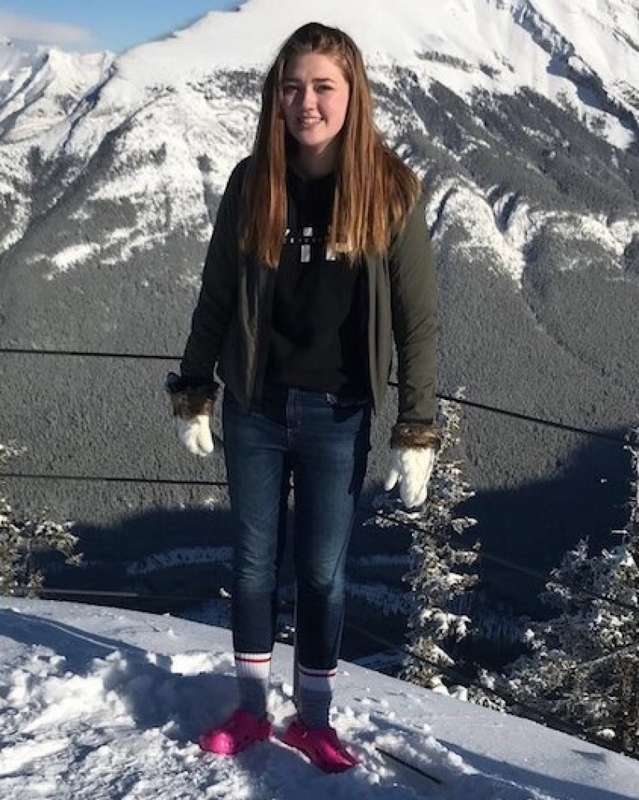 In 2016 she attended Bosco's 24 day Adventure Leadership Experience where she spent 20 days hiking 78km and canoeing 138km in the Canadian Shield of Saskatchewan. In the summer of 2017 she was accepted to work as a Youth Leader at camp where she shares her love of the Saskatchewan outdoors. Mary Grace not only loves the outdoors, her love of swimming has led her to pursue her Red Cross Lifeguard Certificate and her Red Cross First Aid, as well as her Red Cross Water Safety Instructor Certificate. She is also part of Leadership at the Lloydminster Comprehensive High School where she delivers anti bullying presentations and has for the past 2 years in schools around the community. She has received her Red Cross Respected: Violence and Abuse Youth Facilitator and Preventing Bullying and Harassment Certificates. She has also volunteered many hours helping at Big Brothers Big Sisters after school program. One of Grace's most proud achievements is her Duke of Edinburgh Saskatchewan Silver Award that she received in September of 2017. It was such an honour for her to meet the Lieutenant Governor General of Saskatchewan. Mary Grace is a born and raised Saskatchewan girl that loves nothing more than being in the wilderness and passing that love onto others.